Russia is looking at naming a future town near the Russian Vostochny space port after the father of the Soviet space programme, Konstantin Tsiolkovsky. “I think it will be right if, after consulting it with the local residents, we will call the future town Tsiolkovsky,” Russian President Vladimir Putin said on Friday, as Russia celebrated Cosmonautics Day marking the first manned space flight on that date in 1961 by Yury Gagarin. 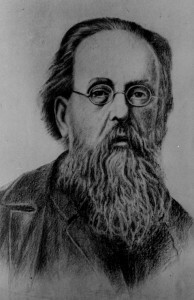 Tsiolkovsky, who died in 1935, is considered a pioneer of astronautical theory and one of the founding fathers of rocketry. He published a theoretical paper on using rockets to explore space as far back as 1903. In the Soviet Union, towns were sometimes named after the leading figures in the space programme, like Gagarin or Korolyov (after prominent rocket engineer Sergei Korolyov). Putin said the town of Tsiolkovsky will be built along with a research centre near the new space port in the Far East Amur Region, which is scheduled to make its first rocket launch in 2015. The Russian government say the first manned space flight from the centre is planned for 2018. The new 380,000-square-metre cosmodrome is designed to help Russia reduce dependence on Kazakhstan’s Baikonur space port, which Russia has to rent after the Soviet Union’s collapse. The first stage of construction at Vostochny will cost Russia around 251 billion rubles ($8 billion).